Anyway, have you considered adding optical phenomena in the atmospheres like halos? I suppose it could be implemented as an extra semitransparent layer (relative to the light source and the ground) in front of haze or (more or less transparent) clouds. Different types of crystals present in the clouds determine what types of halos would be present, and in alien atmospheres with crystals not just made of water, there could be interesting sights. There are many examples on Les Cowley's Atmospheric Optics site including simulations of halos possible on other worlds. I think Les can be talked into generating bitmaps for such exotic halos with his halosim software (which also can be downloaded). Hi midtskogen! The halos can be handled by 3D clouds system, some of them handles it very easy. Or it may be made as a screen-space post-processing effect. The site you linked is very interesting, thanks! I haven't seen any recent threads discussing atmosphere lately, so I figured I'd tack onto this one. Have you given any thought to optimizing the rendering of cloudmaps a little more? I have been researching methods that might lend itself well to implementation in SE based on what I can guess about the way things are rendered, and thought this set of articles might be helpful. 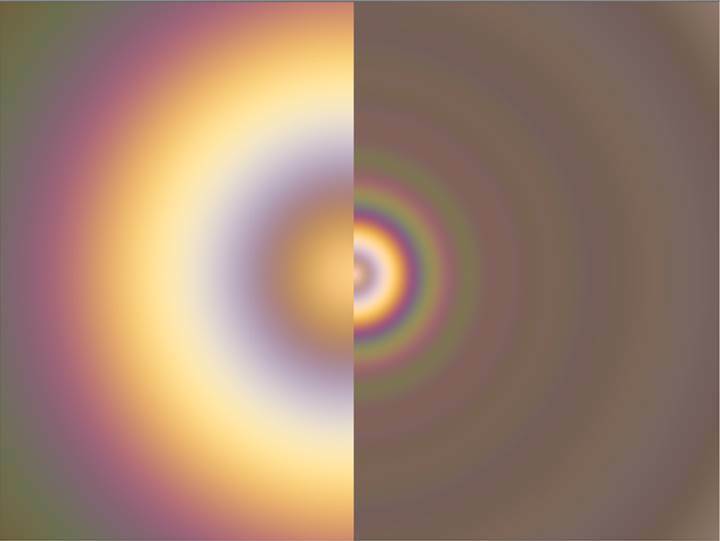 They even mention rendering halos and other scattering effects. We had a wonderful display of halos (22 and 46 degree), a tangent arc, sun dogs, a sun pillar and even the rare Moilanen arc today. One of my webcams was filming and I've made this timelapse. I hope to see something like this in SE sometime. Wow, someone should make a lens flare like that. I think when forms of such lens flares can be calculated dynamically in shader then they will be implemented in SE. Different halos can be made with HaloSim. I encourage anyone with the time and skill to try it out for SE. For testing purposes results could replace the lens flare, but there are some critical differences. If the camera rotates, so will the halos (unlike lens flares). Also, nearby objects could (mostly) be in front of the halos. For proper realism, the halo bitmaps must have the right size. 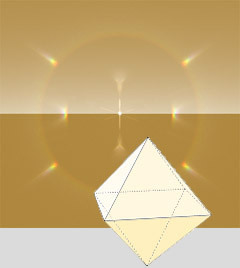 The halos, sundogs and arcs only appear at certain angles away from the light source. I really would love to see that halo in Titan's clouds. And many other extraterrestrial halos created by different atmospheric crystals and conditions. Atmospheric Optics it's a very interesting topic. I think it would be great to implement also a close related phenomena called The Glory. Also inspired by the fact that this effect is different in different worlds. Here's an explanation of how to simulate realistic glories if you are interested in this. It would be amazing to see this kind of things on the first installment of SpaceEngine. It is a demostration of scientific accuracy and well documented space planetarium (and maybe game). At the end this kind of details are going to make the real difference. Because exploring exoplanets can be more complex and diverse than we even imagine. This is very cool, but very complex effect. SpaceEngine now even don't model composition of the atmosphere, so this is must be first task to do. I think SE can do this sufficiently well by using precomputed textures either taken from the atmospheric optics site or calculated with HaloSim. Of course, SE nevertheless needs to model an atmosphere composition of sorts to determine what kind of crystals and associated halos could exist. SE could probably get away with a lot of cheating here, though. And SE needs to do improved cloud simulation so the halos could appear in plausible situations. I picked my avatar to reflect my wish for halo support in SE and I haven't changed it since 2012 keeping it as a subtle reminder.